DIE Ikone Japanischer Ingenieurskunst. Technisch unübertroffen bis heute. 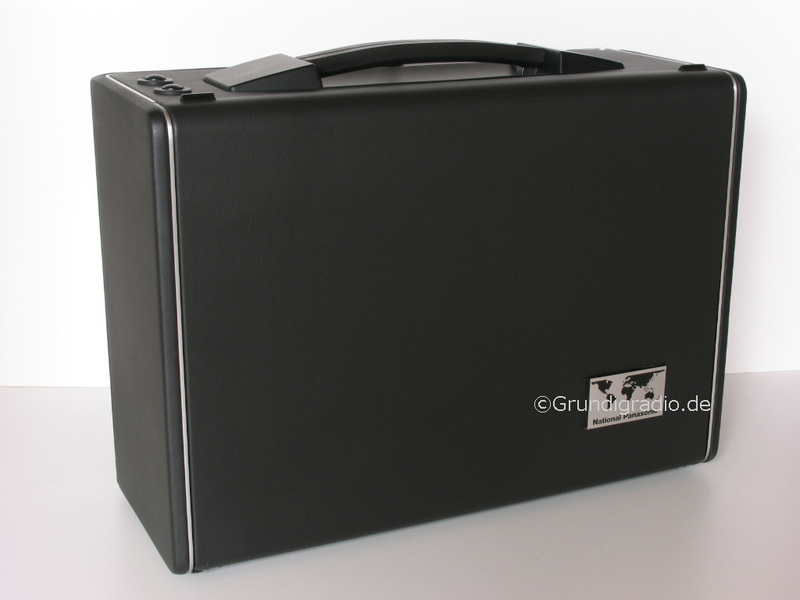 Der schwerste und teuerste portable aller Zeiten. 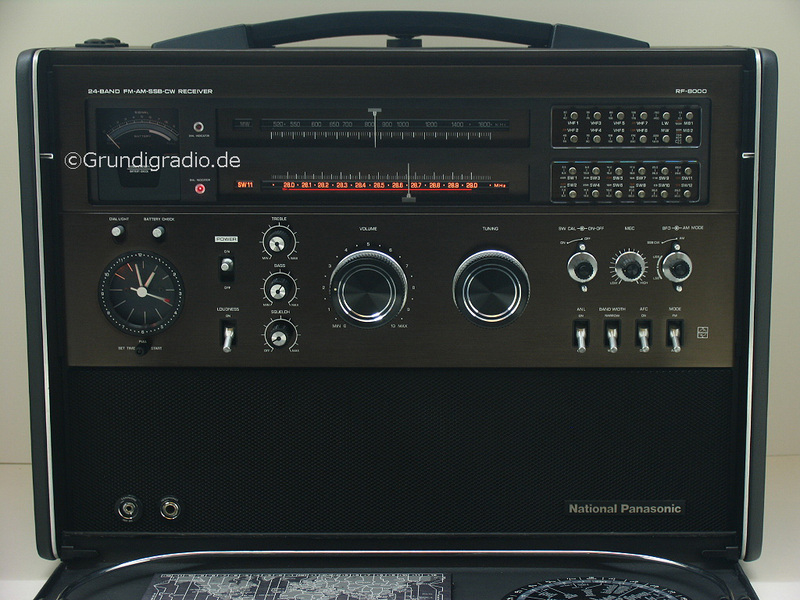 Niemals wieder wurde ein Radioempfänger dieser Güte gerfertigt. Die Auswahl an Bändern und Frequenzen ist Atemberaubend. 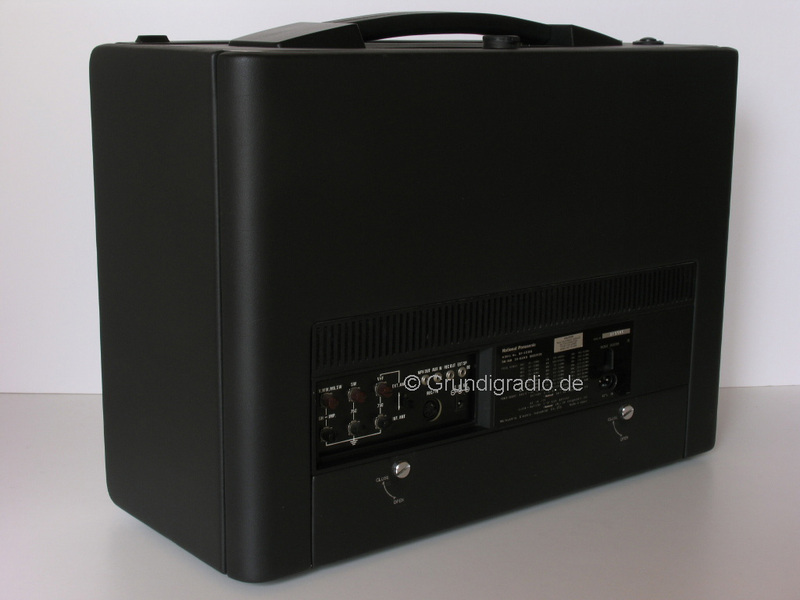 Allein 8 x UKW beweisst die Ausnahmestellung dieses Radios. Die Loundness Zuschaltung garantiert absoluten Hörgenuss. THE Masterpiece of Japan engineering. 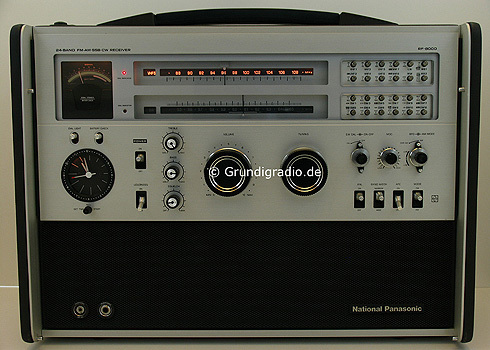 The model RF 8000 is one of the finest Worldband Radio ever built. The range of Bands and frequencies is staggering. Eight times VHF alone prooves this radio’s exceptionality. Grandious sounding highend analog with a lot of power. Panasonic RF-8000 multiband radios in this like new condition are extremely difficult to find. All functions are present. Both program rolls work flawlessly, the clock runs reliably, both VHF antennae are perfectly straight at a length of 132 cm; they extract and retract as smoothly as silk. The KW frame antenna holds fixed in any position. Volume and reception dial are free from any kind of scratching noise. The sound characteristics are fantastic. All lightings are in working order. The visual condition is immaculate. The front plate is totally scratch free.